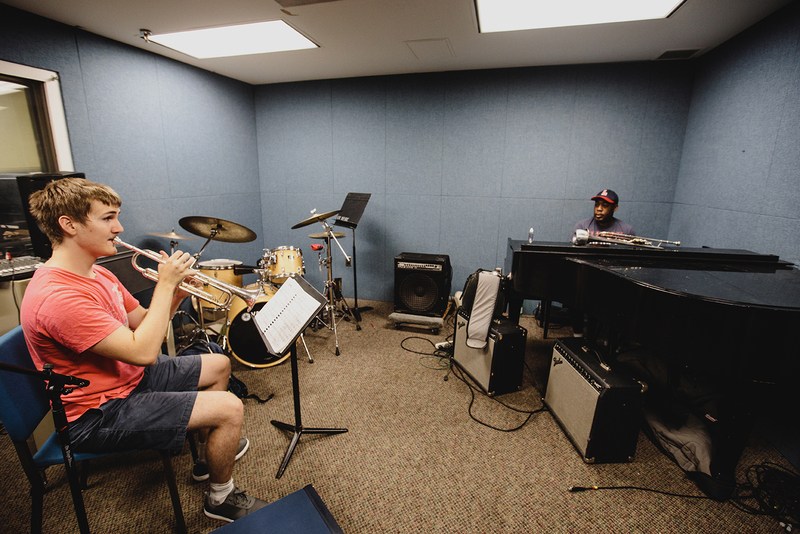 The percussion and jazz ensemble studio is open to students currently enrolled in percussion lessons, students who play percussion and are enrolled in ensemble courses, and music majors and minors who participate in jazz combos. If you are eligible for access and do not currently have it, please email [email protected] or stop by the Music office (Phillips B-144). These studios are also used for individual performance study and ensemble courses.